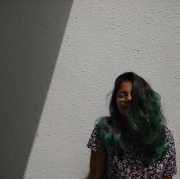 Meet the unsung hero behind an Indian Squash Champion! 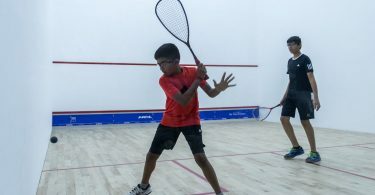 My instructions for the day were clear: come back with ONE story about ONE person from the 3rd HCL International Junior Squash Championships happening in the ISC. I requested the Squash Rackets Federation of India representative at the desk, to help me pick one person who would be just right for the interview. He took me to Coach Hari Om Tripathi, a Level 2 SRFI coach, the man who taught Dipika Pallikal “the simple task of holding a squash racket” and then guided Dipika to her first National Junior Championship title in 2002, when she wasn’t even seeded! He wore a smiling face all through the conversation, his rapport with the participants evident in the youngsters keeping their hands on his shoulders while chatting with him in between the interview. When I told him that the tournament hashtag was #BornForSquash, he was sure he wasn’t! Born into a fauji family in Allahabad, he says it was his friend, Dalip Tripathi (a Level 2 SRFI coach himself) who introduced him to squash and it was the duo’s competitiveness which led them to many a victory in tournaments across the country, almost all the time being unseeded. Coach Hari Om always considered Dalip better than himself, so when he received a coaching offer from SDAT Chennai, he thought he had been mistaken for his friend. But Mr. Srivatsan Subramaniam, the SRFI Secretary General, had no second thoughts and told Coach Tripathi to pack his bags and come to Chennai. He was the first coach of the Indian Squash Academy (ISA), the cradle of India’s current crop of squash stars. The ISA was the brainchild of N. Ramachandran, the ‘Other Brother’ and the godfather of Indian squash, who wanted India on the world squash map, and Chennai at its heart. It has churned out world class prospects under the watchful guidance of Cyrus Poncha, the Head National Coach, and former Consultant Coach Major S. Maniam, a Malaysian whom Coach Tripathi considers as the most important man in the country’s grassroots programme. Coach Tripathi says it was a huge leap in terms of environment, language, culture and, most importantly, the pressure of giving results. When a man tells you, he jogged 5 km from his home in Chepauk to the ISA in Kilpauk because the bus took longer, you might stare in disbelief but Coach Tripathi did just that to reach the academy earlier than his students! He remembers his first star student, Vinayak Sethi, who he says learnt the ropes in a mere five months and went to the knockouts of many National Tournaments, but it was Dipika’s triumph which made him cry on court for the first time in his life. It was a vindication of N. Ramachandran’s belief in him. 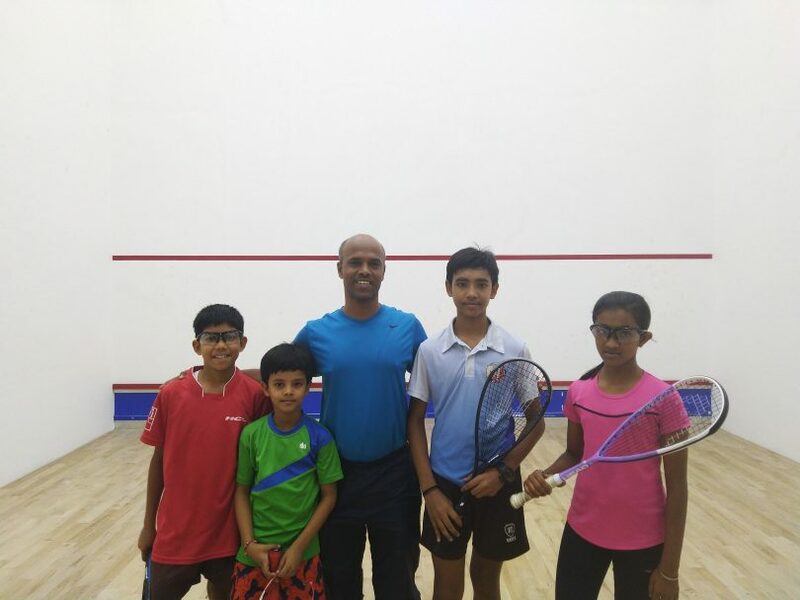 From three glass courts to becoming India’s premier squash academy, Coach Tripathi has grown along with the ISA. He credits two people with having made his career and changing the face of Indian squash: ‘The Boss’ Ramachandran and Major Maniam, though he mentioned the name of his colleague B. Balamurugan countless times as having been very supportive in a Chennai alien to him. Coach Tripathi says, with utmost pride, that he last cried when Velavan Senthilkumar won back to back National Junior titles in 2013 and 2014 under his tutelage, before going on to win the British Junior Open in 2017. He hopes his boys from Welham Boys School, Dehradun (his current coaching assignment) will do well over the next two days. Just after saying this, he says he missed Chennai and took a job in the North for his wife. Coach Tripathi had loved the strenuousness of the Chennai job. He loved teaching the basics, for which even Senior players approached him, and polishing the rough ones. He also missed the nameboard in the Ambattur home from which he had moved out. It read “Mr. Hari Om Tirupathy”! He’d never change it. Maybe he still has it, you should ask him if you see him in the ISC!